It is very important to know and learn about managing personal finance. Every age group has its own necessities and demands and it is very important to manage personal finance as per those needs. As far as kids and teenagers are concerned, they have different needs. So, the way to handle their personal finances will also be different.Helping your teenagers understand how to have secure and successful financial futures is one of the most rewarding things for you as a parent. 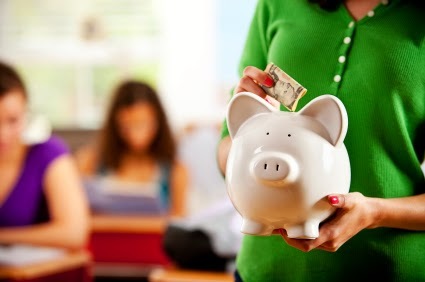 By working with your teenagers learn and follow these tips, you’ll give them more experience and confidence in money management. These tips will start them down a better financial road their whole life. The first element in helping a teenager learn about money management is to work with them to establish income. One of the best ways is to encourage them to get a job. Or, if they are highly involved in sports or other high school activities and don’t have time to work, set them up with a weekly or monthly allowance. Once your teenager has income, make sure they use it for most of their personal expenses. This helps them understand that they have to control their spending, and not go over their budget. If you give them too much extra money, they won’t understand they have to limit their spending. By having a bank account, you can teach your teenager how to make regular deposits, save money and keep their bank balance away from overdrafts. In addition, it can help your teenager learn about online banking and using ATMs. Sit down with your teenager and help them set up a budget that fits their income. A budget will help them understand that randomly spending money isn’t a good approach. By creating a realistic budget, they can also set short- and long-term financial goals. Learning to save is one of the most important elements of money management. Sit down with your teenager and recommend they save 5 percent to 10 percent of their income. Help them understand that by saving money now, they’ll have less financial worries in the future, and will have funds to help make major purchases, such as a car or college tuition. Another great way to help your teenagers learn about saving is when you’re with them at a store. Help them look for the best value items, lower prices and even use coupons. In addition, have them go online and see if they can find even lower prices. It’s also good to recommend that sometimes they wait to buy an item until it goes on sale. Give your teenager a new perspective on spending. Help them understand that, if possible, it’s a smart approach to spend less. An example would be instead of spending $25 on too much of a restaurant dinner, they could limit it to just $15, and have $10 to add to their savings. Reduce impulse purchases.Encourage your teenager to shop with a specific list of items they need. This avoids impulse buying, which can lead to much higher expenses for things they really don’t need. It’s important to spend time with your teenager to help them decide what their future goals are, and how they can achieve them financially. By having a specific plan, they’ll have a much better opportunity to meet their goals. Give your kids assigned tasks every day of the week, such as taking out the trash, vacuuming, loading and emptying the dishwasher, washing the dog, mowing the lawn or shoveling snow.Suggests and determine how much they will get paid for each task or week. The more you talk to your teenagers about money management, the better decisions they’ll make. Use the tips listed here to get started, and keep talking to your teenager about all kinds of financial topics. All The Articles of This Site Are Published by The Editorial Team,Consists of A Group of Well Skilled Highly Professional Bloggers. © 2019 Conicl. All rights reserved.